Uncategorized – not for general use. My New Year’s resolution is to survive the impending bathroom renovation. 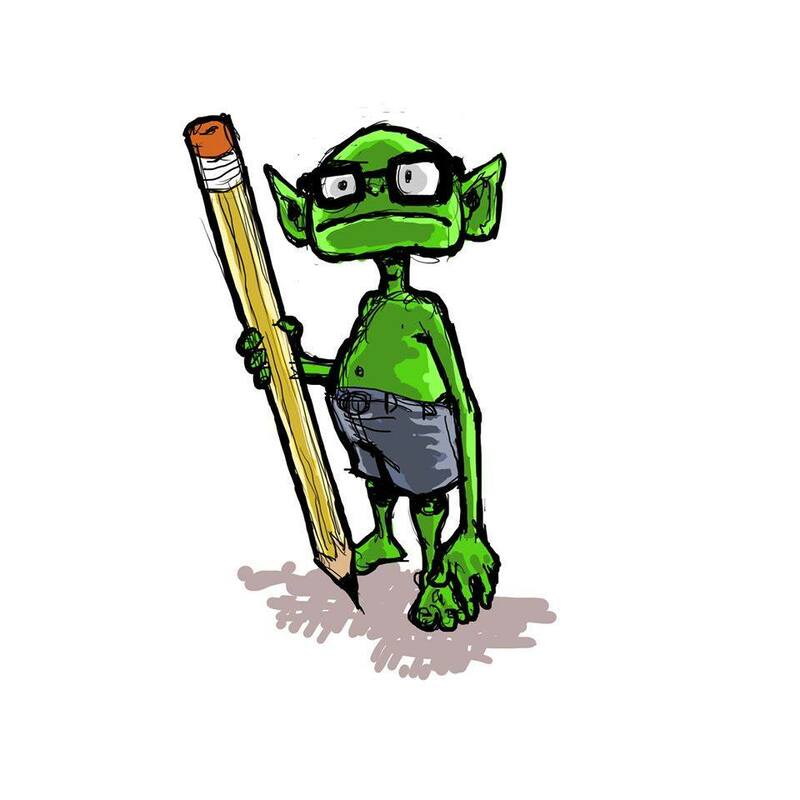 So with that, NerdGoblin will be back later in January–with or without working plumbing. So, now that the opening weekend excitement is out of the way, the reviews are in, and the arguments have started in earnest, I’d like to offer my humble assessment of the best and the worst of Rogue One: A Star Wars Story. Was it entertaining? Oh, yes. Was it visually stunning? Oh, yes, again. Was it up to the overall quality of Star Wars: The Force Awakens? That’s debatable. And I have to say no. While there is much to praise about Rogue One, in many ways it fell into some lazy habits that undermined the potential of a story we all already knew the ending to. Darth Vader—Bringing back the sheer physical menace of the early Vader was a keen tactical move. The closing scene where he casually devastates the cornered Rebel forces with his lightsaber and the Force is breathtaking, reminding us all over again of why he is such an enduring villain. Effects—The battle scenes were spectacular, as promised. In addition to the flashy guerrilla street fights and Death Star demos, the inclusion of the Episode IV sequences during the final space battle was an excellent connection to the original saga. But what most impressed me was the destruction of the shield around Scarif—seeing a couple of disabled Imperial Star Destroyers get shoved through the gate by a small rebel ship was pretty bold. 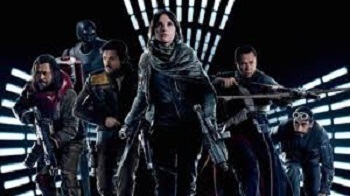 Secondary characters—They were the real treasures in Rogue One, managing to take stilted, stereotypical characters and really make them breathe. Alan Tudyk as the repurposed droid K-2SO, Donnie Wen as the blind Jedi Chirrut Imwe, Jiang Wen as his barbarian sidekick Baze Malbus, and Riz Ahmed as the former Imperial pilot Bohdi Rook, all brought tremendous sympathy to their roles and made me care about their fates in a way the leads didn’t. Grand Moff Tarkin—Peter Cushing has been dead long enough (he passed in 1994) for it to make sense to cast a new actor in the role. Alternatively, the script could have focused on the multitude of other characters and left Tarkin out of it. What they decided to do felt too much like grave-robbing to me, especially since the CGI was not quite good enough to climb out of the uncanny valley. Tarkin was creepy, alright, just not in the way it was intended. Lead characters—Jyn and Cassian were far less engaging than the secondary characters. Felicity Jones looked uncomfortably like Jo from The Facts of Life throughout the action, with her face locked in a perpetual frown. There was no sense of connection between her and Diego Luna (or anyone else, really), who fared slightly better in the emoting department. I got the feeling of very good actors given thin, thin parts and not enough space to bring them fully to life. Slipshod plotting—The reason for Rogue One’s existence is to get from point A to point A New Hope, but there are ways to tell a story with a foregone conclusion that keep it compelling (Argo comes to mind as a recent success). This missed the mark. 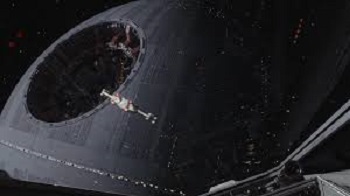 In their attempt to recall the visual style of the original trilogy, the opening sequences came across as rushed and not especially well connected. Jyn’s backstory also seemed perfunctory, presented in info-dump dialogue to get it out of the way of the next big battle. And the final scenes of the Death Star plans reaching their destination suffered the same hurried fate with an abrupt resolution. It made it very hard for me to invest in the story. 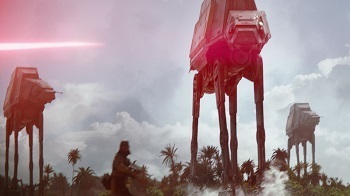 Speaking of connecting to the originals, Rogue One did a nice job namechecking the first trilogy with the looming AT-ATs, the Scarif bunkers, and the desert landscape of Jedah. The musical score also very reminiscent of John Williams’s epic work for A New Hope. But why does the empire put all its controls in awkward and fully exposed locations? They achieved seamless and true AI, but they can’t put the Master Switch somewhere other than on an unprotected podium out in the open? Why did Jyn’s mother tell her to trust the force? Did Jyn even have the force? I kept wondering when we’d get back to that, but it seems like the explanation for that emphasized line was left out in the rewrites. All in all, I found the latest entry in the franchise to be a mixed bag of quality. What worked for me worked very well, but what was lacking became distractions too strong to overcome. I’m glad I saw it, because it was a visual feast with some highly interesting characters. But I’m not likely to go back and watch it the way I do with the rest of the saga. And that’s my take-away from Rogue One: A Star Wars Story.